Senate and House leaders announced Friday they are postponing work on two controversial anti-piracy bills in the wake of large online protests that spurred several congressmen to rethink the legislation. Senate Majority Leader Harry Reid announced today that he is postponing Tuesday's procedural vote on the Protect IP Act (PIPA). Meanwhile, House Judiciary Committee Chairman Lamar Smith said his committee is postponing consideration of PIPA's House companion, the Stop Online Piracy Act (SOPA), "until there is wider agreement on a solution." PIPA and SOPA are intended to strengthen protections against copyright infringement and intellectual property theft, but Internet advocates say they would stifle expression on the World Wide Web. CBS Corporation is among the media and entertainment companies that support the legislation. In protest of the legislation, major sites like Wikipedia and Reddit participated in a 24-hour "Internet blackout" on Wednesday, while other sites like Google took less drastic steps to signify their opposition to the legislation. The protests inspired voters to deluge their congressmen with phone calls and emails in protest of the bills as well, and by Wednesday afternoon, several congressmen either came out in opposition to the bills or said Congress should take more time to reconsider them. It seemed unlikely PIPA would find the 60 votes necessary to pass Tuesday's test vote in the Senate. Adam Green, co-founder of the grassroots group Progressive Change Campaign Committee, said the legislation's delay shows that "people power works." His organization helped about 43,000 people call their congressmen in opposition to the bill. Reid said in a statement, "There is no reason that the legitimate issues raised by many about this bill cannot be resolved. He encouraged PIPA's author, Sen. Patrick Leahy, D-Vt., to continue working with stakeholders on the bill "to forge a balance between protecting Americans' intellectual property, and maintaining openness and innovation on the Internet." Reid said the Senate had made "good progress" through its discussions on the bill in recent weeks and that he's optimistic that the Senate can reach a compromise. He stressed that counterfeiting and piracy are serious problems that hurt major industries, including the movie industry, which supports 2.2 million jobs alone. "We must take action to stop these illegal practices," he said. "We live in a country where people rightfully expect to be fairly compensated for a day's work, whether that person is a miner in the high desert of Nevada, an independent band in New York City, or a union worker on the back lots of a California movie studio." The House Judiciary Committee was slated to take up SOPA again in February, but Smith issued a statement after Reid's PIPA announcement, noting that he also has heard from critics of the bills. "I take seriously their concerns regarding proposed legislation to address the problem of online piracy," he said. "It is clear that we need to revisit the approach on how best to address the problem of foreign thieves that steal and sell American inventions and products." Smith said "the problem of online piracy is too big to ignore" and that the House Judiciary Committee will continue to work with both copyright owners and Internet companies to find the right solution. In his own statement, Leahy criticized the senators who walked back their support for PIPA, compelling Reid to postpone the procedural vote, which would have officially started a Senate floor debate on the bill. "The day will come when the Senators who forced this move will look back and realize they made a knee-jerk reaction to a monumental problem," Leay said. "Somewhere in China today, in Russia today, and in many other countries that do not respect American intellectual property, criminals who do nothing but peddle in counterfeit products and stolen American content are smugly watching how the United States Senate decided it was not even worth debating how to stop the overseas criminals from draining our economy." 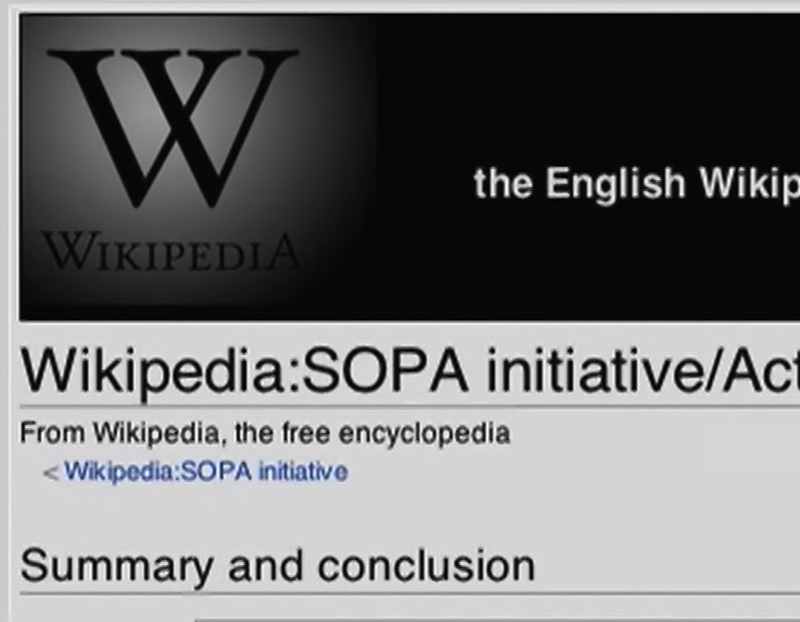 Opponents of SOPA and PIPA object to the bill in part because they argue it would impose a huge, unmanageable burden on Internet companies to police their sites for connections to copyright or intellectual property infringers. Start ups in particular would not be able to handle the legal costs involved, and it could quash innovation in the Internet industry. Senate Republican leader Mitch McConnell said Friday he was "encouraged" by Reid's decision to postpone the vote. "We all agree that we must do more to combat the on-line theft of intellectual property," McConnell said in a statement, but he said PIPA "raised serious legal, policy and operational concerns." Republican Rep. Darrell Issa of California and Democratic Sen. Ron Wyden of Oregon co-authored a bill intended to serve as an alternative to SOPA and PIPA -- the Online Protection and Enforcement of Digital Trade (OPEN) Act. "For all those who might have thought that their voice didn't count in their government, I hope you now know it does," Wyden tweeted after Reid postponed the PIPA vote. Issa said in a statement that postponing the PIPA vote "removes the imminent threat to the Internet, but it's not over yet. Copyright infringement remains a serious problem and any solution must be targeted, effective, and consistent with how the Internet works." Computer & Communications Industry Association President Ed Black said in a statement that "Those who value and appreciate the Internet can breathe a little easier today." "We recognize that the dynamic quality of the Internet can be disruptive to established entities and practices, whether they be governments, companies, or individuals," Black said. "When legitimate interests and problems result, we remain prepared to address those problems in ways that don't damage the core principles on which the Internet depends."